CEO’s participants at CBS’ show “Undercover Boss” are supposed to stay “undercover” as they work in the trenches of their own companies with their identities hidden from their employees. 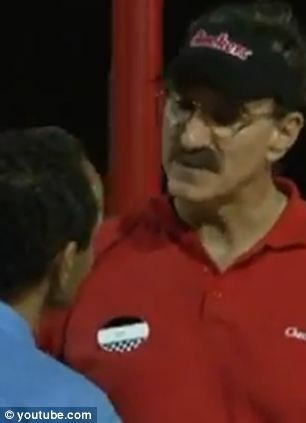 However, in a recent edition of the show, Rick Silva, the head of Checkers & Rally’s drive-in hamburger restaurants, was so horrified at the abusive tone of one of his managers in Homestead, Florida, that he broke character and revealed himself in the middle of the episode. And then Rick Silva shut down the restaurant for the night, stunning the employees and shocking the manager, known only in show as “Stevens”. Rick Silva’s undercover name was Alex Garcia, and he posed as a failed pharmacy owner from Philadelphia. While working alongside an employee named Todd at the fry station of the restaurant, Todd is in the middle of telling Rick Silva about his ambitions to be a chef, when Stevens yells at him to stop talking and cook the meat. At one point, Stevens threatened Todd outside and beat him for not working hard enough. When Rick Silva questioned the employee about why he allowed himself to be treated so badly, Todd replied that he had to keep his job so he could support his mother and he worried that if he stood up for himself, he would be fired. In response to Steven’s abusive behavior and barking orders at his employees, Rick Silva responds by asking Stevens to speak with him outside. 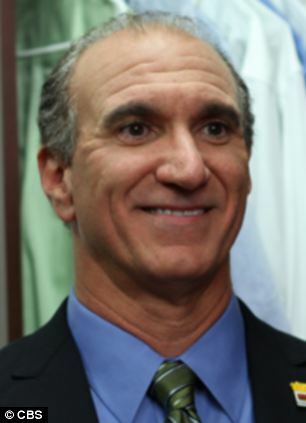 Stevens’ face shows that he is clearly stunned and he opens his mouth in disbelief, looking away. “Right here, right now, we’re going to shut the restaurant down,” Rick Silva says. When Rick Silva calls the employees out to inform them of the news, they are afraid the closing will be permanent and their jobs are lost. However, Rick Silva reopened the store with a new general manager the next morning and sent the offending manager in for more training. “I came to the conclusion that he wasn’t prepared to run that shift and wasn’t convinced that when I walked away the restaurant would provide the level of service we need,” Rick Silva told the trade magazine Nation’s Restaurant News later. Rick Silva also accepted responsibility for the manager’s poor behavior, saying it was his own fault as CEO that the company didn’t have the proper training procedures in place. As for Todd, at the end of the show, Rick Silva awarded him with $15,000 to take care of his mother and money to finish culinary school.